The strike, which began on Aug. 1 after unionized technicians’ employment contracts with their dealerships expired, centers on multiple claims from the Automobile Mechanics’ Local 701 union: an antiquated wage structure that pays technicians only for hours assigned to each repair job rather than how many hours that mechanic actually worked, the lack of a clear way to move up or gain long-term profession, scheduling problems and a work environment that is not appealing to young people. Interactions between the Local 701 mechanics’ union and the dealers’ group, the Chicago New Car Dealer Committee, got spiteful as soon as the strike started, and increasingly so as the weeks went on. 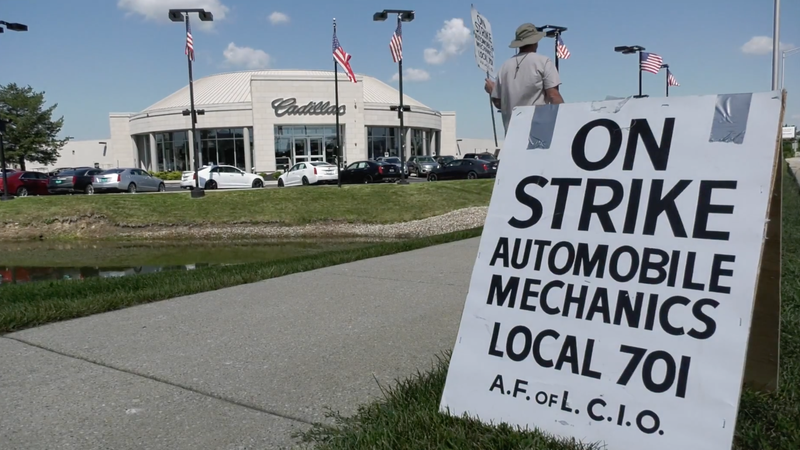 Technicians claimed that dealerships were pushing their tools outside, canceling their health insurance and hiring people to take their place almost immediately after the strike began. Negotiations of a contract offer have gone on since before the strike, with offers such as hourly pay raises and better benefits from the dealer committee being denied due to their nature of not addressing what mechanics see as the real issue: a pay structure that doesn’t pay for all of the hours worked during a day. The union claims the NLRB charge came after the dealer committee allegedly took its “last best final offer” straight to technicians before allowing the union to look at it. The union webpage did not describe what the final offer entails, but this is not the first time the dealer committee has claimed an offer to be the “final” one. On that note, the NCDC stated that it “communicated to the Union that the NCDC was prepared to continue to bargain regarding all other remaining issues and pursue possible compromises so that the parties might reach an overall tentative agreement on all issues, but the Union has not yet responded to NCDC’s invitation to bargain further.” The NCDC had its meeting on Tuesday (one week after the Union submitted its counter proposal), yet less than 24 hours later it dropped its LBFO offer on you. The NCDC also dealt directly with you by providing you the offer before the Union had a chance to review. The Union has since filed an NLRB charge for bargaining in bad faith as a result of the NCDC’s actions. Dave Sloan, a spokesman for the New Car Dealership Committee, said the charge is without merit. The committee sent the offer to dealers so the mechanics would have an accurate portrayal of the deal, Sloan said. The technicians have run out of time, he said. If they don’t return to work this week, according to the committee’s site, many of the workers will experience a four-week gap in health coverage once they do return. The union said in a post on its website Sept. 8 that it “understand[s] everyone is anxious to resolve this dispute and get back to work,” and asked members to “please be patient” while it works through the details of the committee’s last offer—and, apparently, the competing NLRB filings between the two.